Rating: 5.25/5 *A triumphant fresh return to the golden standard. 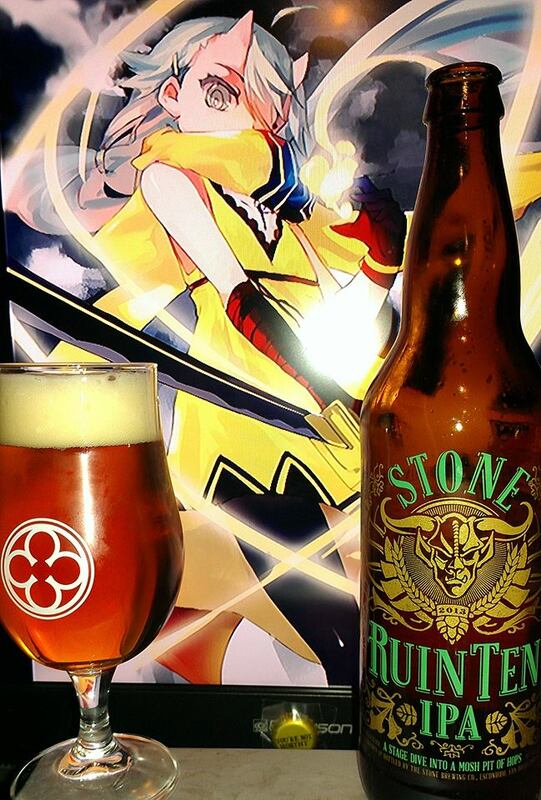 Back in 2002, we first released out notoriously mega-hopped Double IPA, Stone Ruination PA, and in 2012 we celebrated its 10th anniversary with the release of a very special version that was even bigger and incredibly, even hoppier than the original. 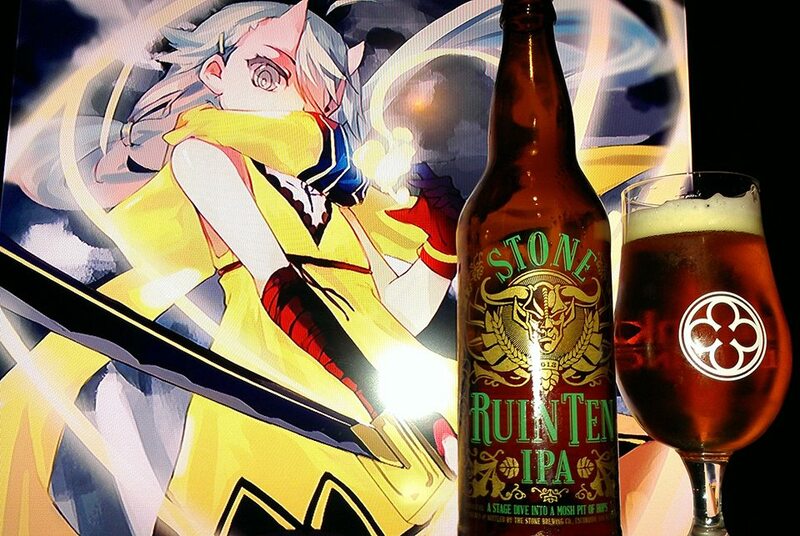 If Stone Ruination IPA is “A Liquid Poem to the Glory of the Hop,” then Stone Ruination Tenth Anniversary IPA was a “Stage dive into a mosh pit of hops.” Luckily for us, our fans love loud and aggressive brews, specifically when copious amounts of humulus lupulus are involved. The original release of this beer was so instantly beloved by those who dared try it [particularly us] that there was no way we could relegate in one-hit-wonder status. You are holding in your hands a veritable hop monster. We dropped the word “Tenth” but the decidedly indelicate recipe is the same as the one first unleashed in 2012. 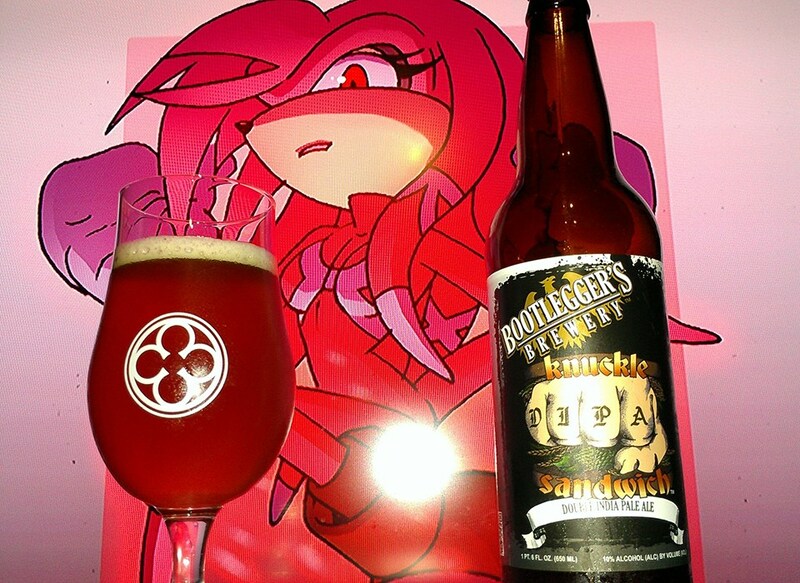 This belligerently delicious ale has the substantial malt backbone needed to stand up to the whopping five pounds of hops packed into each barrel. If all the hyperbole hasn’t frightened you away by now, we know you’ll love this audacious gem of hoppy splendor just as much as we do. Crank it up! The IPA Gold standard is back with a vengeance. One release was not awesome enough. The second is enough to cause havoc with irreparable damage to the palette and I am sure you will love it. AS I remember correctly from last years beer, this not only was so bitter that it lingered, it actually started burning. Maybe not like a chile heat, but like a real hop plant bitter trip to Hell. Aromas are just like I remember, a lot of hoppy aromas ranging from grassy, pine needles, grapefruit, herbal, dank, hop oil, tropics to the brim like mango, pineapple, papaya, passion fruit, dragon fruit, citrus, lemon peel, oranges, tangerines and peaches. The flavor are in your face bitter with straight burning hop character, pine needles, dank hop oils, grapefruit, lemon grass, herbs and slight floral notes, some nice biscuit and caramel along with the in between tropics of the citrus, tangerine, peach, mango, pineapple, passion fruit, dragon fruit, kiwis, papaya, lychees and some nice peppery notes. The After taste just lingers in Hopmaterasu ([Unquenshable Black Flames]Naruto reference) burning to the untrained palette. However, if you are willing to continue drinking, on top of those green hellish flames will lie some nice tropical residue to keep you from fading into the oblivion (Leave that part to the alcohol ). Very nice thing those hops do , ain’t that sweet of them. This beer is awesome. It is so awesome that I think it makes it the prime reason why they may only be able to release it one more time. Maybe even release it every year if not. 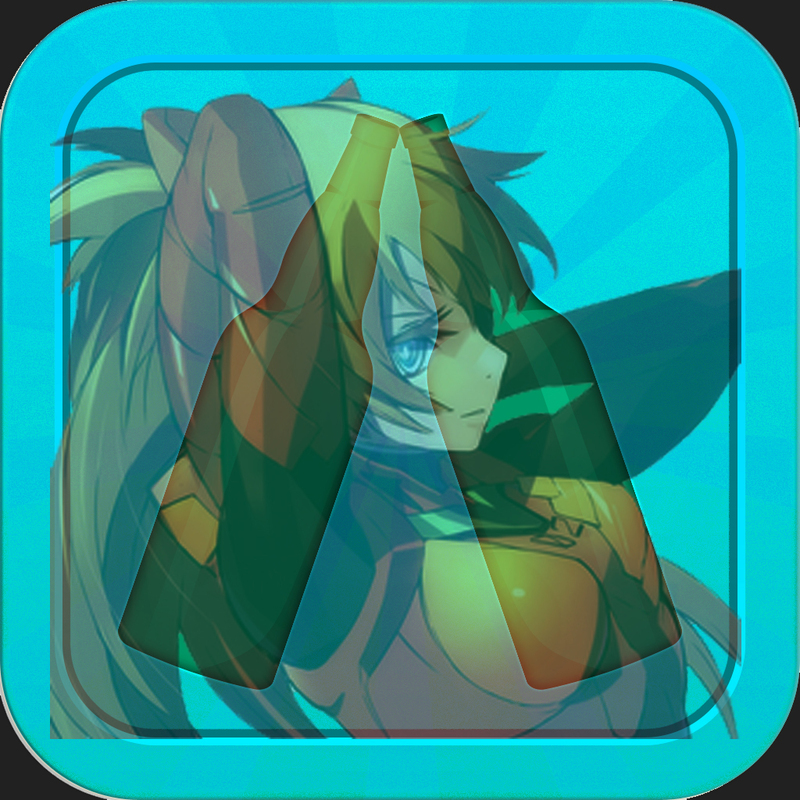 I think that if they were to release it as a yearly, it may or may not detract from the original Ruination. However, it if they did do that, it would be nice to have a variety or Ruination to choose from. You know, Hard mode versus Expert mode sort of thing. Get this beer while you still can. 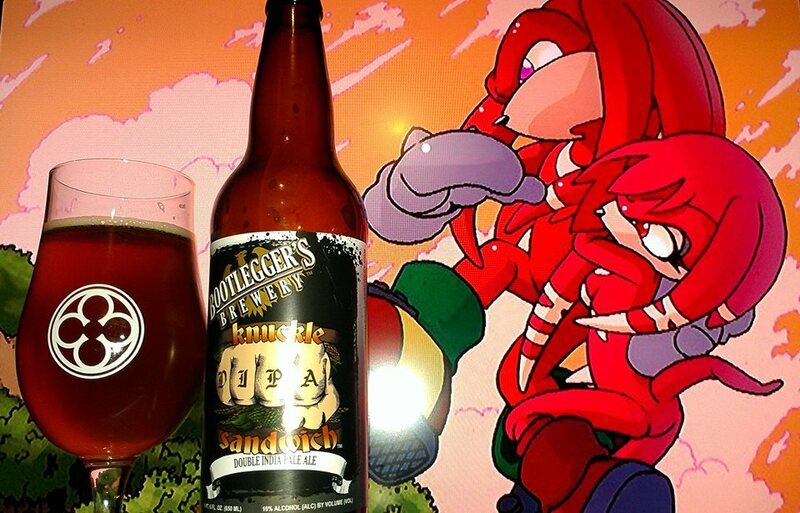 Stop Reading this and go buy this beer before it is gone. 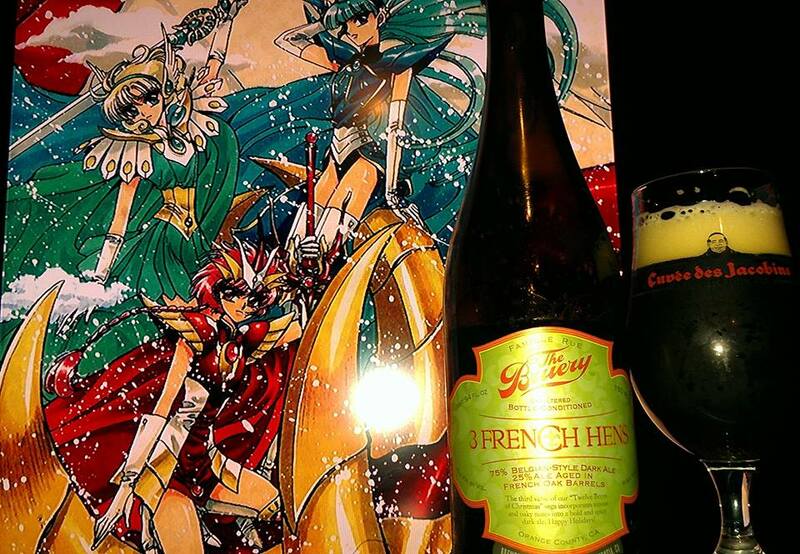 As for the Brewery–exclusive-Camp-out-all-night-Black-Friday-style-for-only-enjoy-3-pints-Pliny-the-Younger…. eat it!!!!!! 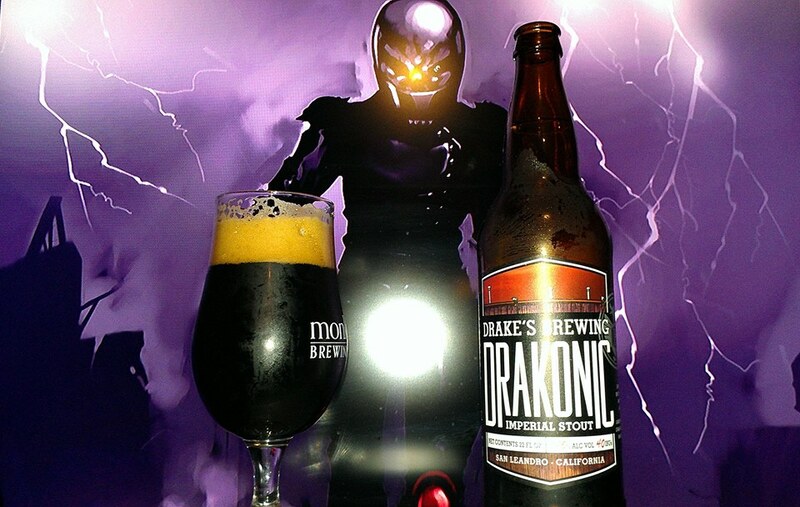 You are holding a Drake’s Drakonic Imperial Stout, A big, malty beast of a beer that exemplifies the way we roll here at Drake’s. Two-row malt is blended with Chocolate malt, roasted barley, and dark Crystal malts to make up the grist. Only one hop addition, Columbus, is added for bittering, allowing the abundance of malt in this beer to shine through. Enjoy the dense brownish head, the silky maltiness, and flavors of licorice, coffee and chocolate, rounded out with a slightly dry finish. here’s to those who don’t fear the mighty! Aromas of this beer are of milk chocolate, bakers chocolate, coffee, rich caramel, roasty malts, minor earthy hops, vanilla, a minor rum character and whipped cream. The flavors are of milk chocolate, bakers chocolate, dark chocolate, mocha, caramel, vanilla cream, earthy hops, hazelnut and licorice. 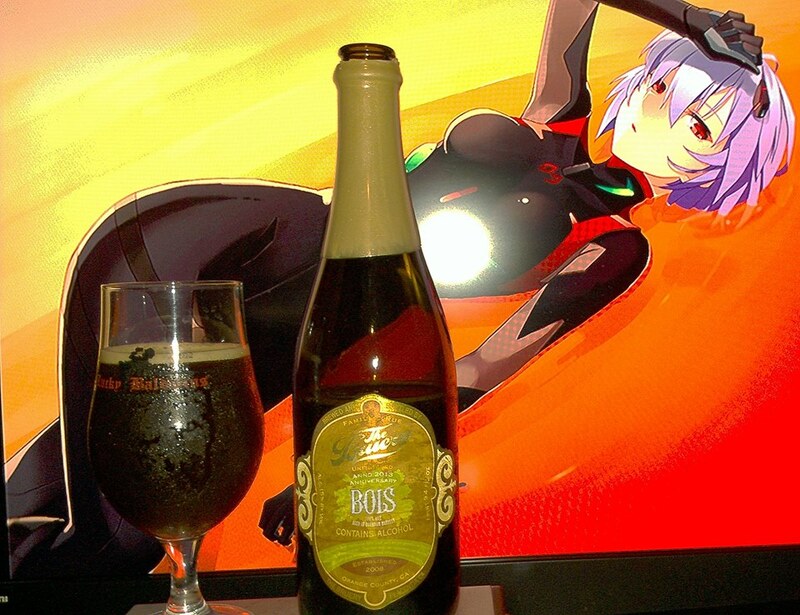 Another very good example of a stout. Not too smokey or bitter with nice coffee and chocolate with caramel aftertaste that stays with you for a bit. I definitely like the more sweeter caramel and chocolate aspect of this beer. Reminds me of some of the best beers that I have had so far. Not to the level of awesome complexity but still bring some very good stuff home. This is our unique version of an ancient style. A style as old as the ocean trade routes of the last centuries Great Ships. Not as old as the equator they had to cross twice enroute, nor as old as the 10,000 or so miles of Di-Hydrogen Oxide and Sodium upon which they sailed, but older than the Circulithium-4 Lentloid that binds the Lupulin Quartnate onto your taste buds. Weird. Think about it. Now stop. OK, go again, now stop. Think again, and stop. But we digress. Made with 43 different hops and 65 various malts, this redolent ale will likely float your boat, whatever planet you’re on. I have had this beer many many MANY times. To think I never sat down and just did a review of this. It is crazy. Really crazy to no do one of such a great beer. Aromas of nice grapefruit hops, citrus, pine, some decent amount of tropics like mango, papaya, passion fruit, pineapple, apricot, some caramel, biscuit bread, honey and floral hoppy notes. The flavors are of grassy, herbal and grapefruit hops along with nice tropics of lemon and orange peel, apricots, pineapple notes,mango, sweet caramel, honey, biscuit, passion fruits, papaya, pine needles and nice spicy breadiness. The after taste leaves with a nice refreshing bitterness and really nice tropical taste. I’ve had my fair share with this one and you really can’t go wrong here. It is a great tasting IPA with not a lot of overpowering bitterness and is a great example that shows that even if you don’t go with a double IPAs, even the regular one like this will still enough pleasing tropical goodness. IF you like tropics over overpowering hop bitterness. It has enough hoppy bitterness to make this really good as a great example of the West Coast Style. 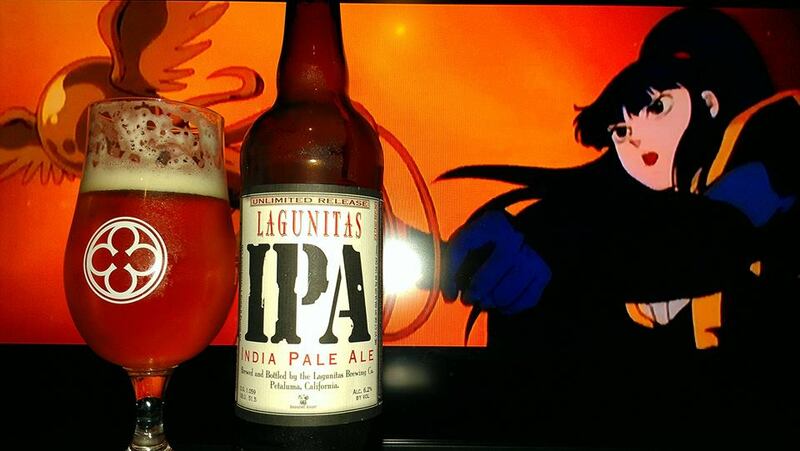 There are only a handful of really outstanding IPAs and this is no exception. 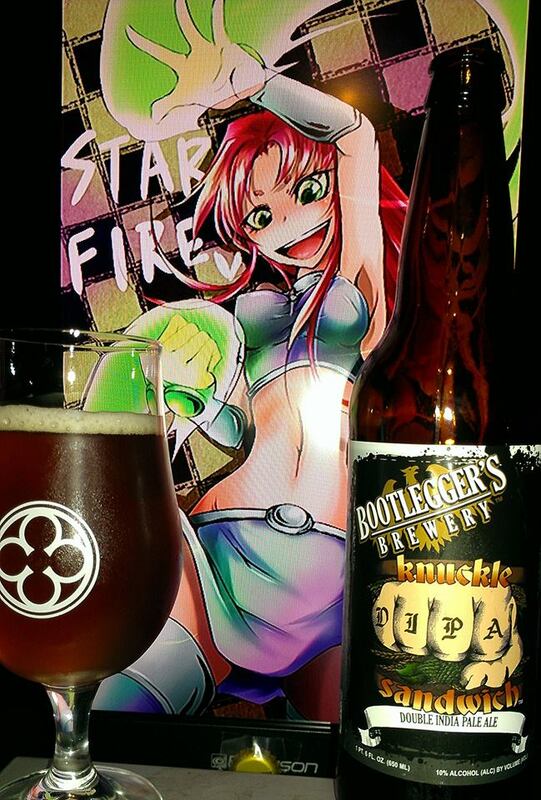 The good thing about this one is that it is more common than some other IPAs. So even if there is no other alternative, this one sure fits the bill of Great IPA. 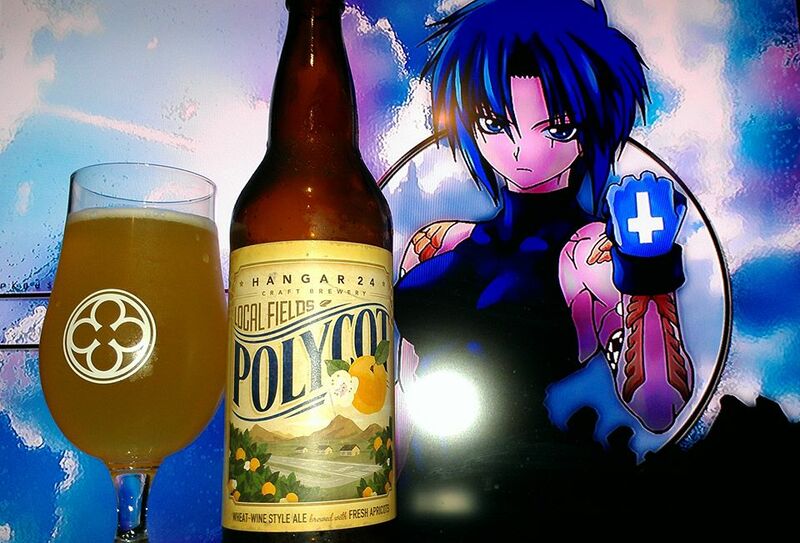 Polycot by Hangar 24 is 7.2% ABV Local Fields Series Wheat-Wine Ale brewed with Apricots. Apricots are the first fresh fruit of summer which makes Polycot the perfect way to welcome the season. This wheat ale is brewed with hundreds of pounds of organic apricots grown in Southern California’s high desert. The mellow wheat balances perfectly with the natural apricot flavors and aromas to create a fresh, pleasantly tart summertime treat. Summertime is here and this beer is one that I have been meaning to try since I first started trying the different Local Fields Series Ales. This is actually the last one of the series so far. It starts again with Essense. Aromas are of citrus, oranges, peaches, apricots, lemon, grassy notes, pears, slight peppercorn honey fragrances, biscuit bread and coriander. 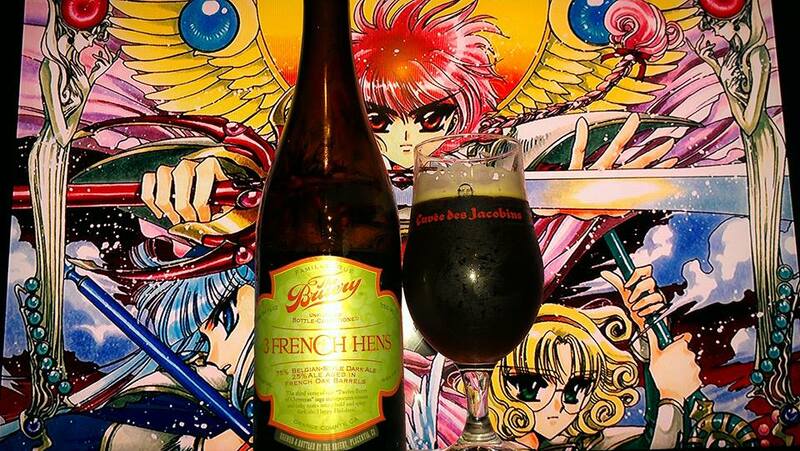 Flavors are directly of honey, peaches, apricot and oranges followed by biscuit bread, coriander, lemon peel, pears, tangy and tart fruits with like a minor grape sourness but not funky sour just tart. The beer finishes dry so it make you want to sip more. A decent beer none the less and worth the try for the summer. The other good thing about it is that it is crisp and refreshing too. 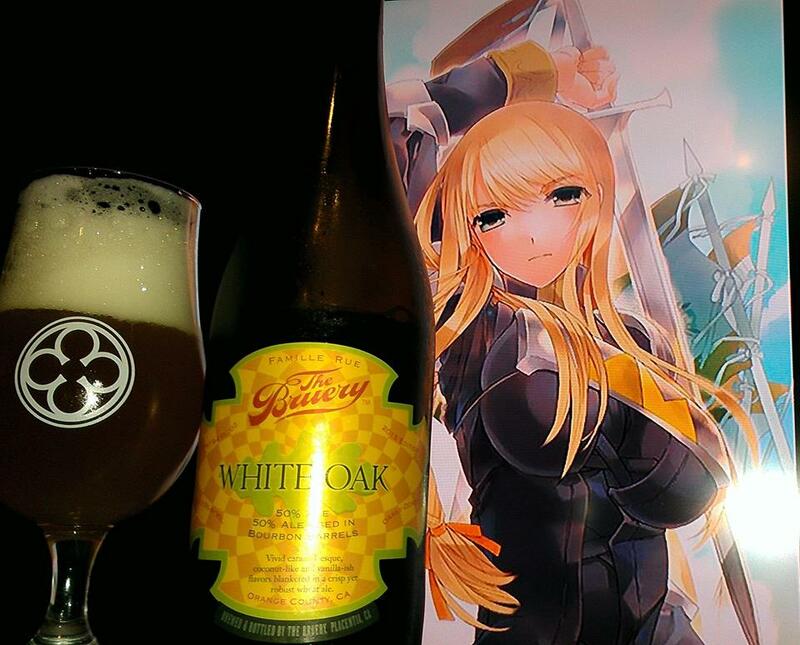 Not the best in the series but still a good beer. Especially one made with apricots. This sturdy beer marks our fifth year, and we are grateful for the outpouring of community. Together may our supporters, our brewery and this beer grow in complexity and refinement over the years. The traditional fifth anniversary gift is something made of wood, or “Bois” in French. Bois is our fifth anniversary ale, loosely brewed in the English-style Old Ale tradition using our house Belgian yeast strain and then blended using the solera method. A portion of each of our anniversary ales is saved in our barrels and blended in with the next year’s production, providing more complexity and depth of character that comes with age. 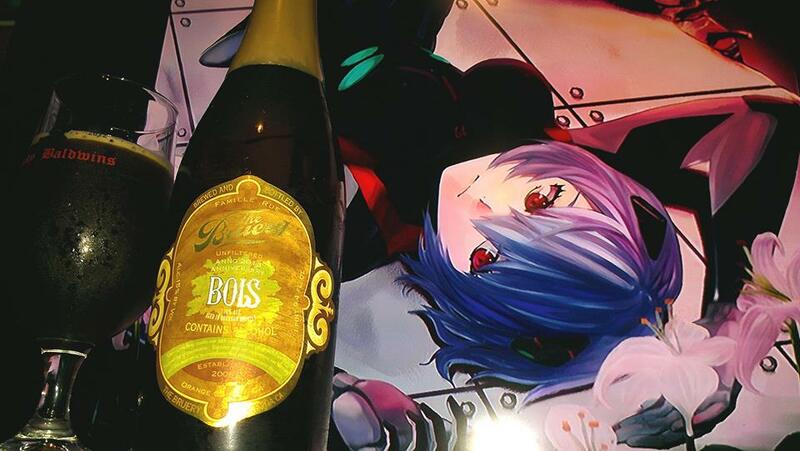 Layered with complex flavors of dark fruit,vanilla, oak, and burnt sugar, Bois is a robust ale, surely the perfect beer to mark this major milestone. I was able to finally get a hold of this beer. Every year they keep adding more of the and more. This one is no exception to the previous. I already know it is going to be awesomely great. Flavors of this beer are of ripe bananas, dulce de leche caramel, toffee, vanilla, oak, bourbon, rum, apples, peach, raisins, figs, dates, prunes, cherries, pecan hazelnut pie, marshmallows, flan, sweetened condenced milk (Lechera), crème brulee, super fancy chocolate, white chocolate, wine grapes, maple, sourdough and rye bread, toffee, sherry, burnt sugar, brown sugar, butterscotch and raisin bread pudding.The mouth feel is thick and the boozyness is there but in a good way. Has like a caramel, fruit and wine aftertaste. 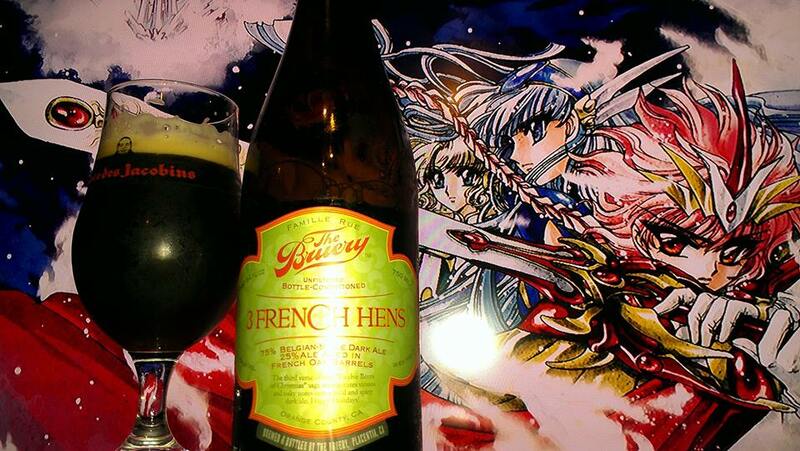 What can I say but another fine year and another fine masterpiece from the Bruery. I think the fact that there are slightly more vinous and bourbon sugar flavor to it this year than last year is the fact that the Papier they added with every batch is adding more and more complexity to it a la Solera method. I am sure their other varieties are over the top. But even the regular Bois is just simply brilliant! Definitely have to get another one for aging. This beer will only get better as time goes. 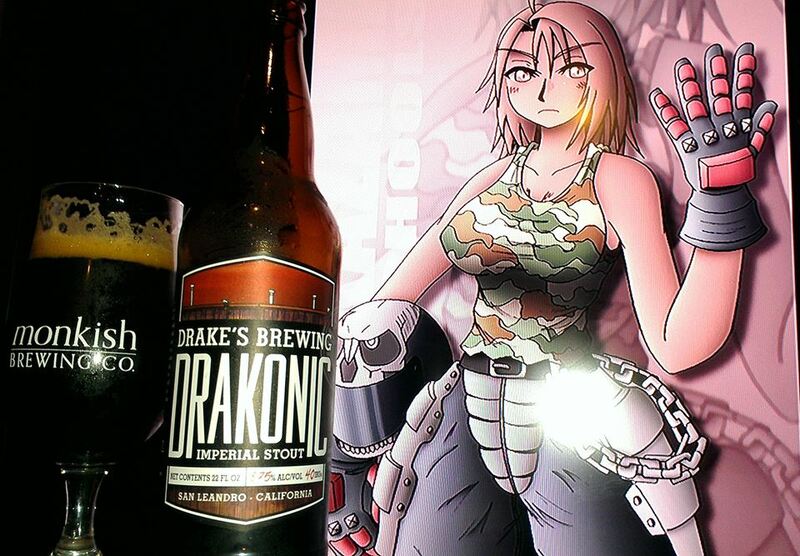 If you get the chance to get this beer, do not miss out!! It is not as exclusive as Black Tuesday, Chocolate Rain, White Chocolate, Melange 3 or others, but still up there in the awesome levels and ratings. 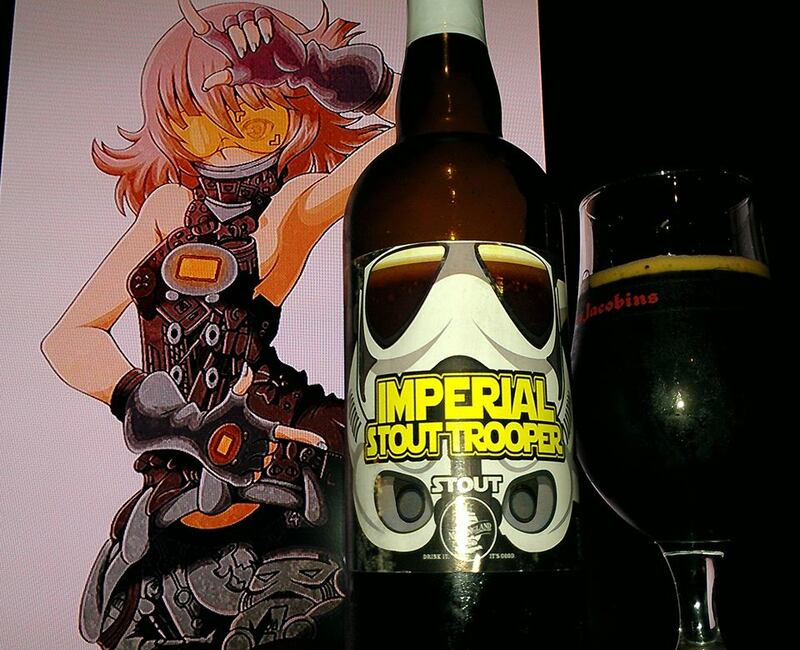 Imperial Stout Trooper (2009 edition) by New England Brewing is a 8.5% ABV Russian Imperial Stout. 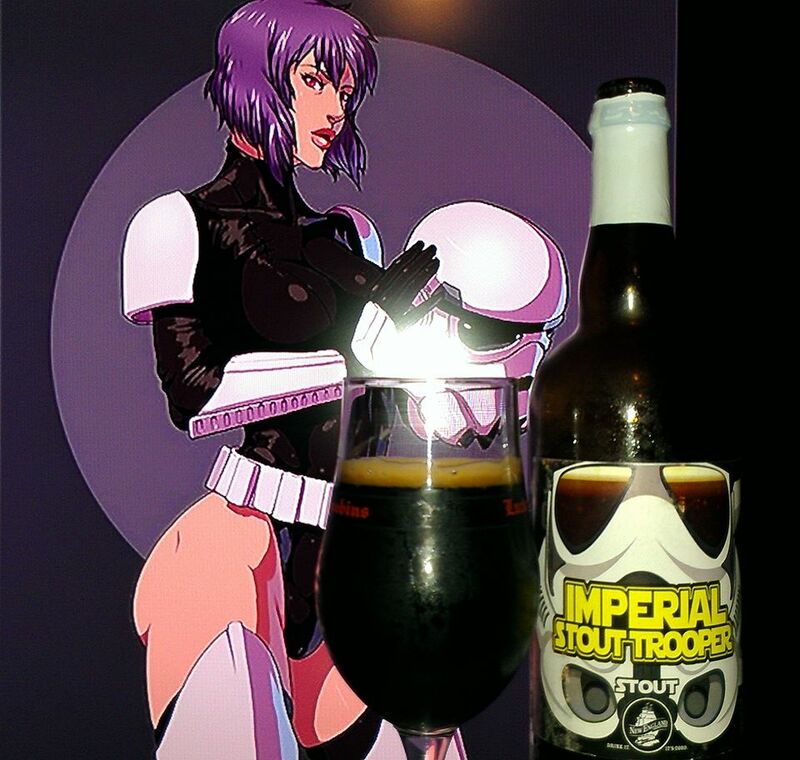 Brewed in a brewery not too far away and not too long ago… Imperial Stout Trooper is a full bodied stout with a majestic blend of seven different malts and Northern Brewer hops. In A Galaxy… Far far away…. 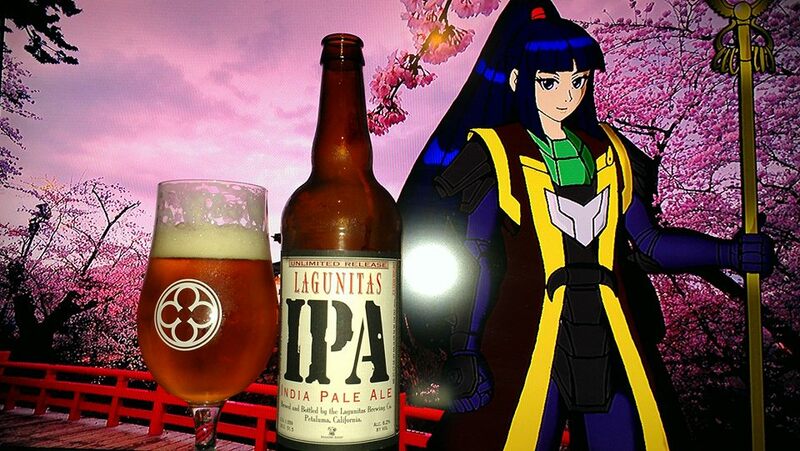 or basically in my room… I bring you a rare beer. Welcome to the Darkside of Brewing. 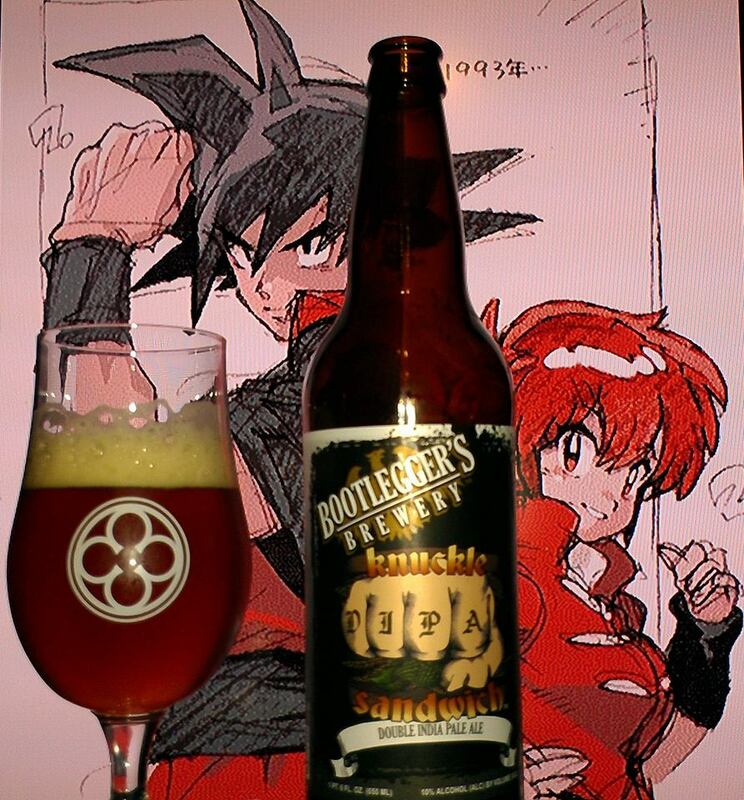 Regardless of the gimmick or not, this beer has been rated because it is delicious. This version is the 2009 version which still has the unmodified Storm trooper helmet. Needless to say, I don’t think this beer is 8.5% anymore. It is possibly in the 10% or 11% ABV. 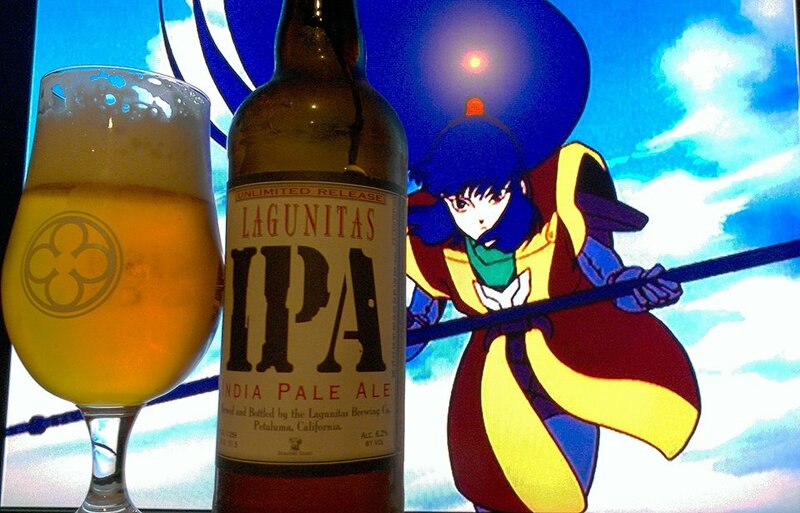 As with many of my beer and anime pairings, I had a hard time trying to find something. Hope you enjoy this one . Aromas are awesome, Oak Chocolate yeti like. The hops have definitely faded over time but the oatmeal, oak, smoke and rich dark chocolate is still there and very good. There is also flavors of vanilla, caramel, coffee, mocha, slight marshmallow, raisins, rum, and toffee. 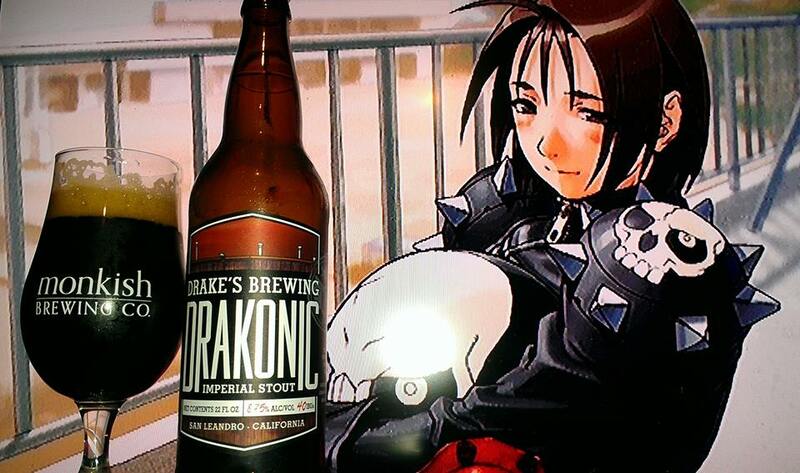 Would I recommend this beer? You better fuuu- believe it. This beer does not disappoint. 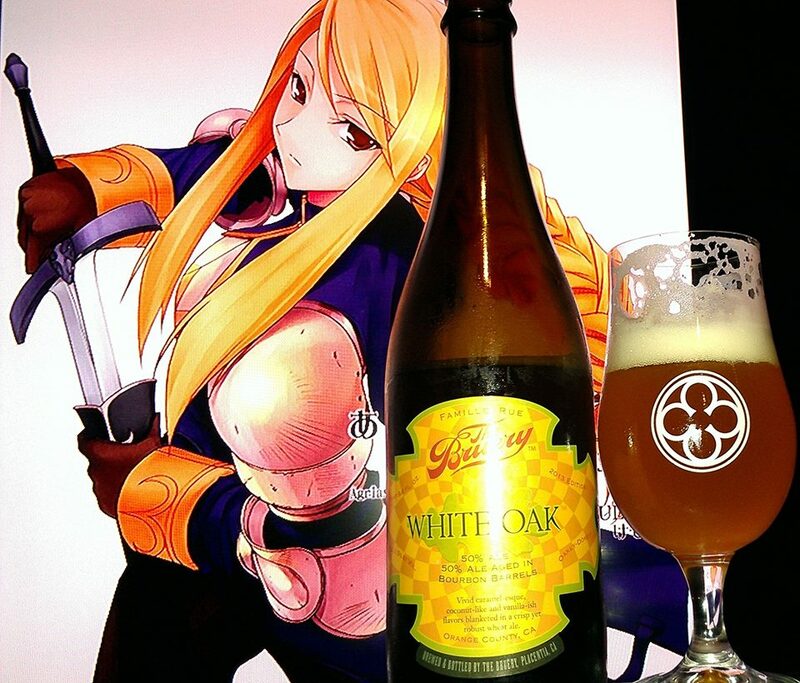 It is very drinkable, WAY TOO DRINKABLE and Greatly delicious. I can feel the force/alcohol in this one. I cannot tell it in the flavor, but in the effect later on that it is a stronger beer. I am not sure how this beer would be in it’s prime as the bottles are hard to come by. Even the newer releases are hard to find. 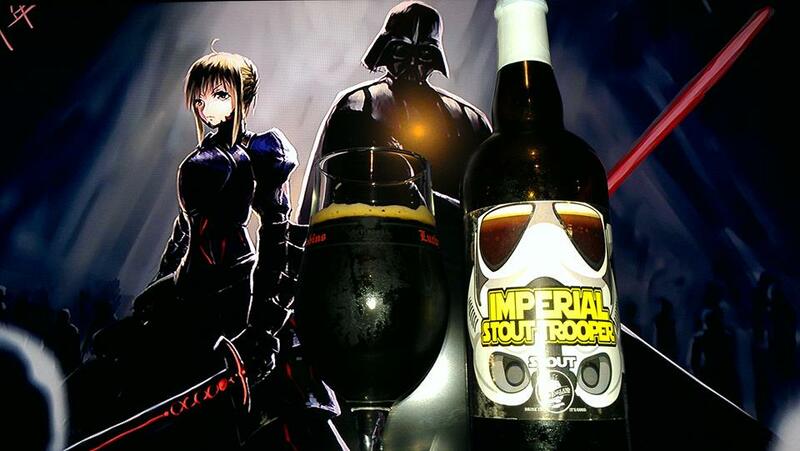 Regardless… Lucky you must be, To find this beer you must… Onward into the Darkside Trooper and don’t hold back! !